The Thankful Project: November 9th | The girl who loved to write about life. This one was easy. This is one of my favorite photos of all time. It's the last photo taken on my wedding day, and it sums up the happiness of the whole day. 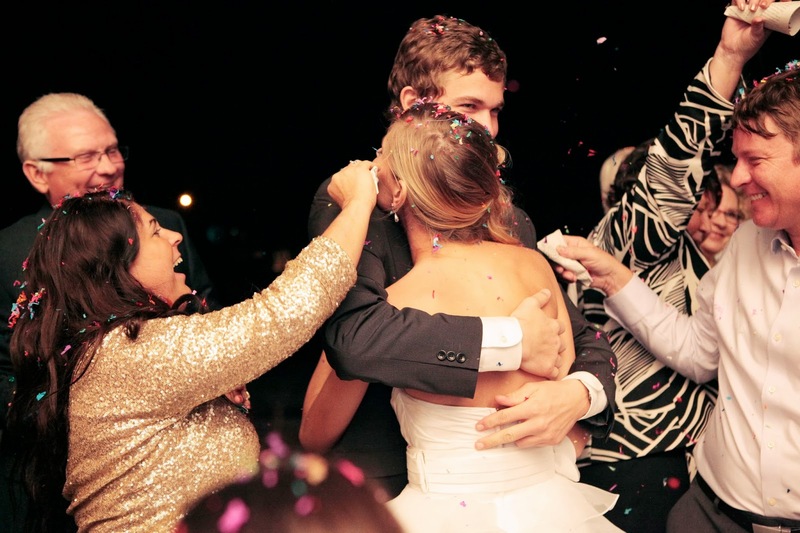 I'm about to get in a limo to go spend a week in Jamaica with my brand new husband, I've just spent the whole night dancing with my favorite people in the world, my parents look so happy, I'm hugging my brother, and there's confetti. So awesome! I love the confetti! wow, that is an amazing photo!